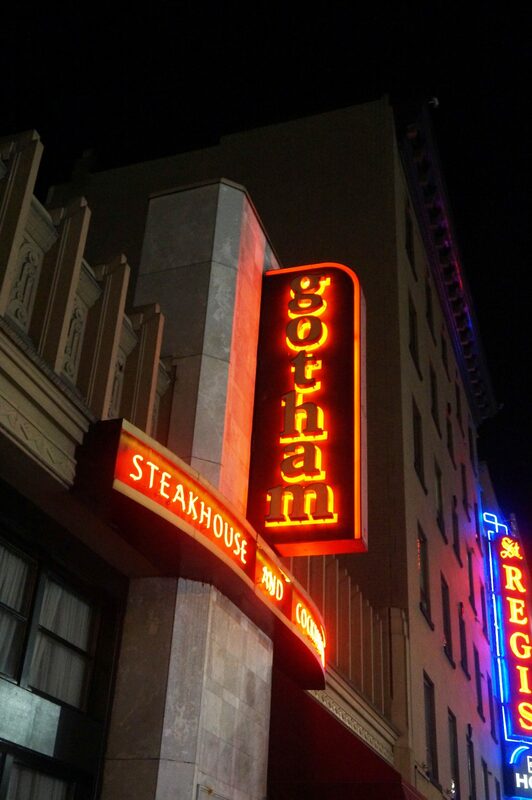 My last (and I think it may have been my only) steak in Vancouver was Gotham Steakhouse. 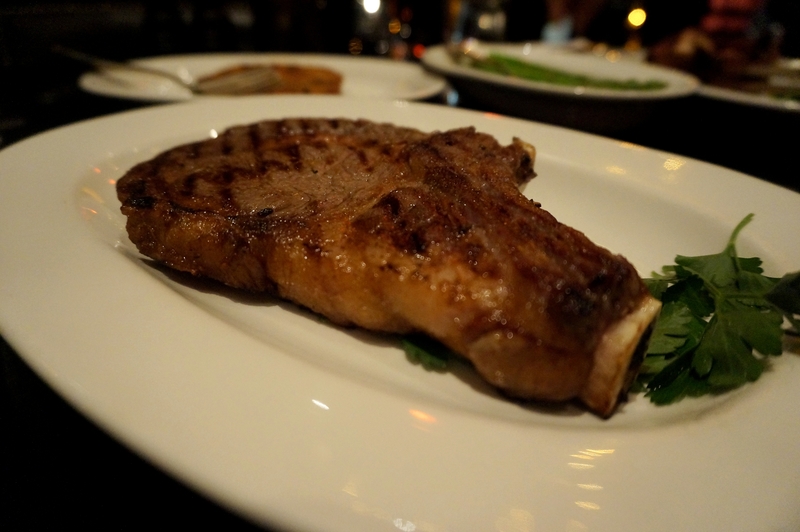 It was in the middle of downtown and had a very heavy Steak house feeling with an upscale and refined outfitting. The place was covered with clean black leather with a bar on one side and a lounge on the other; the lighting was set to the dimmest of settings with the waiters dressed in white jacked formal. I went in and ordered the rib eye cooked medium rare and a side of asparagus, you know, for shits and giggles. As the server set the table up for the steak she brought the steak knife and I was a little worried; it was worn, beaten and definitely dull. The beef came out and I was partially correct about the knife; although I can’t be absolutely sure because the meat was unbelievably fatty, soft and tender. I was on point, cooked to perfection and marbled just enough. 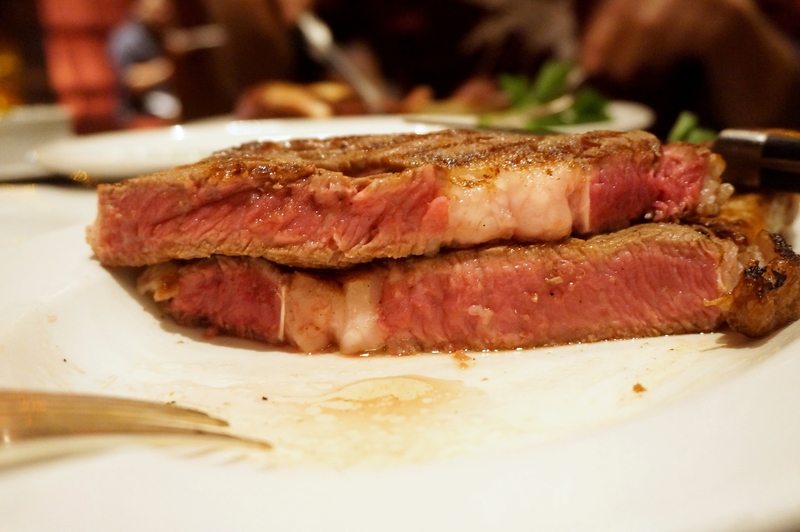 The beef, a grain feed Canadian prime was some of the best Canadian beef I’ve had this past year here. The flavour profile was meaty and slightly buttery but still had a beefy sweetness to it and to the kitchens credit wa seasoned to literal perfection. On my next visit to Vancouver I can say that if I’m not feeling adventurous and wanting something proven I will be back at Gotham for sure. Posted on May 21, 2016 by AdrielPosted in Canada, Steak, VancouverTagged Rib Eye, steak, vancouver.